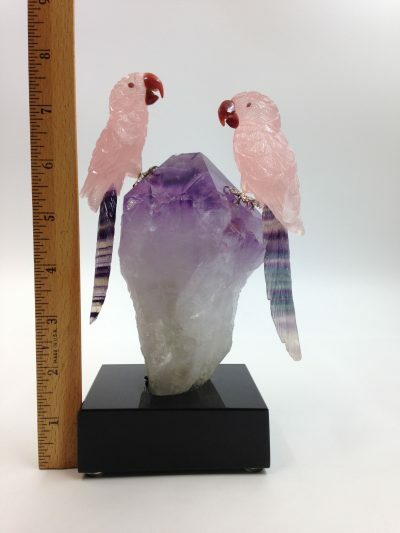 Macaws of rose quartz with carnelian agate beaks, garnet eyes, and fluorite tails. 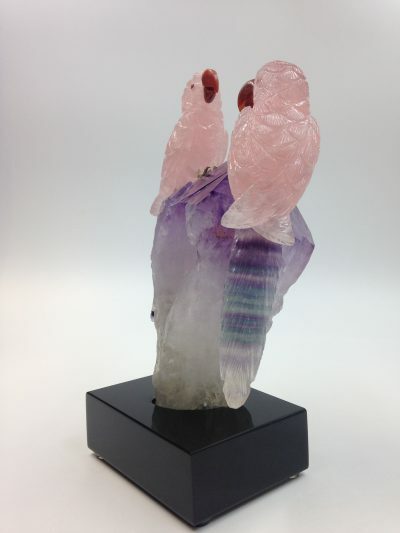 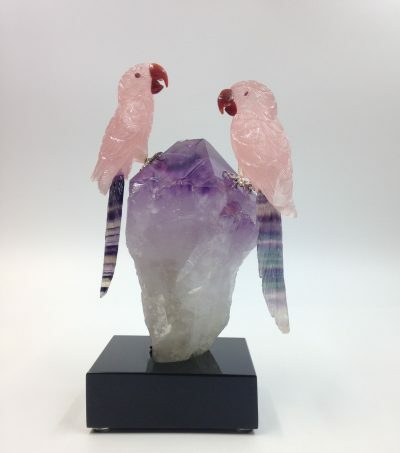 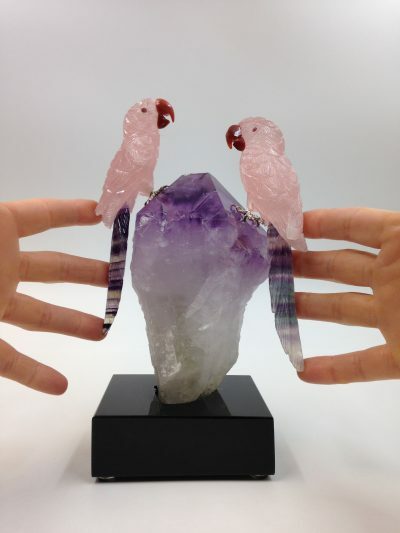 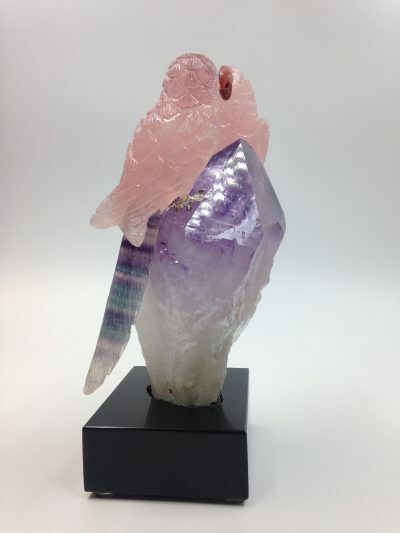 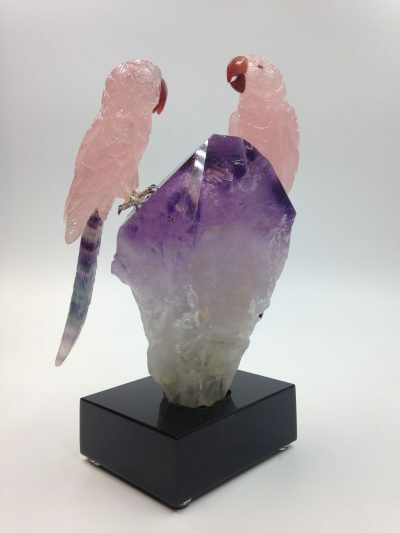 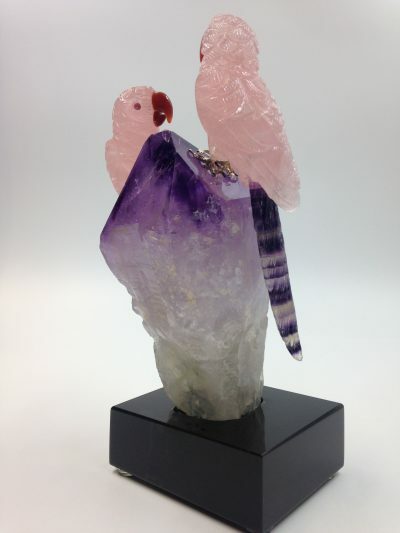 These two lovelies are happily perched on a Brazilian amethyst point affixed to a black acrylic base with rubber feet. 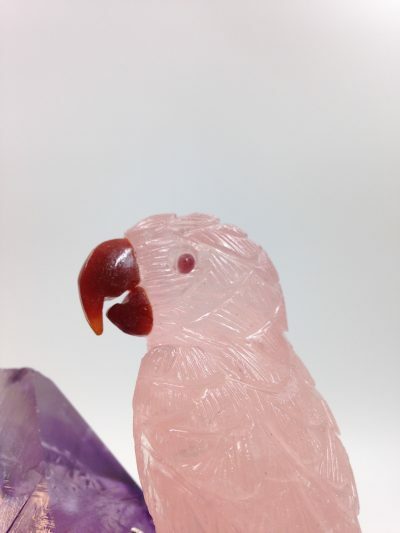 Macaws are removable. 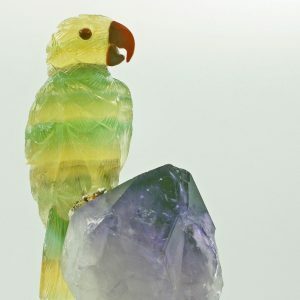 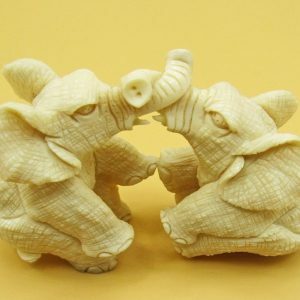 A Peter Muller production, hand carved in Brazil. 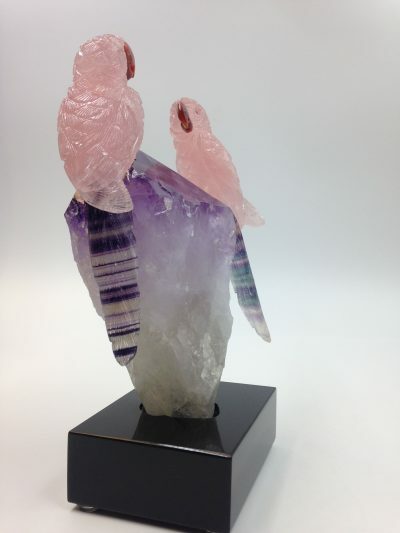 Rose quartz, the pink member of the quartz family, usually occurs in massive form, but occasionally grows in small clusters of prismatic crystals. 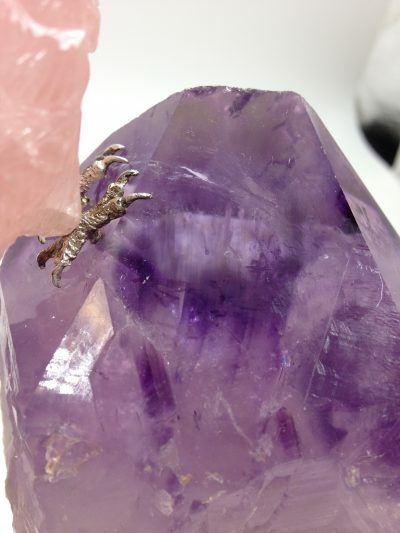 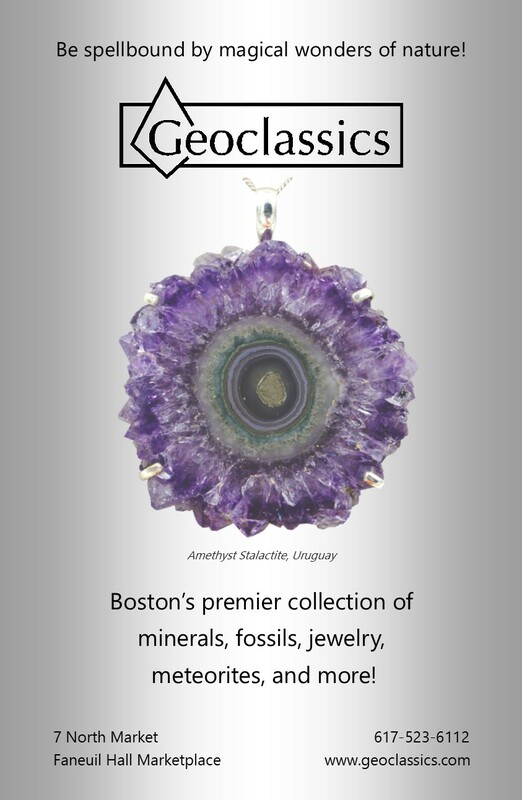 It is most often opaque or translucent and in some specimens, trace inclusions of rutile can cause reflections of six pointed stars. 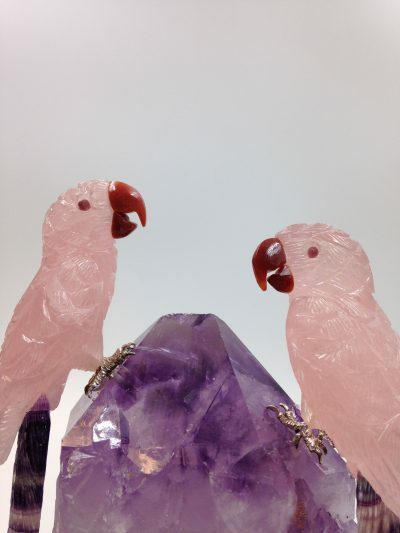 Rose quartz is considered the quintessential stone of love: for one’s self, life partner, children, family, friends, community, the earth, the universe, and the divine. 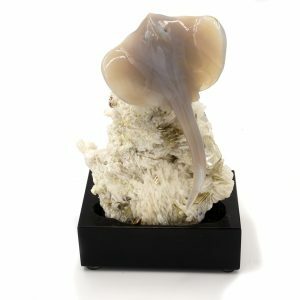 It is believed to calm the mind, assisting in the release of worry, fear, and anxiety. 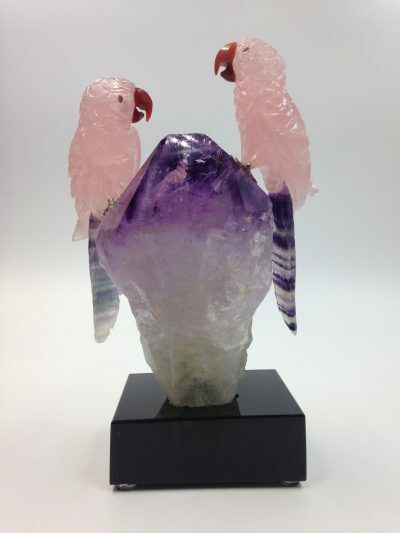 Most rose quartz is mined in Brazil and Madagascar.